Information Technology is one of the areas that require English skills such as: reading, writing and listening. 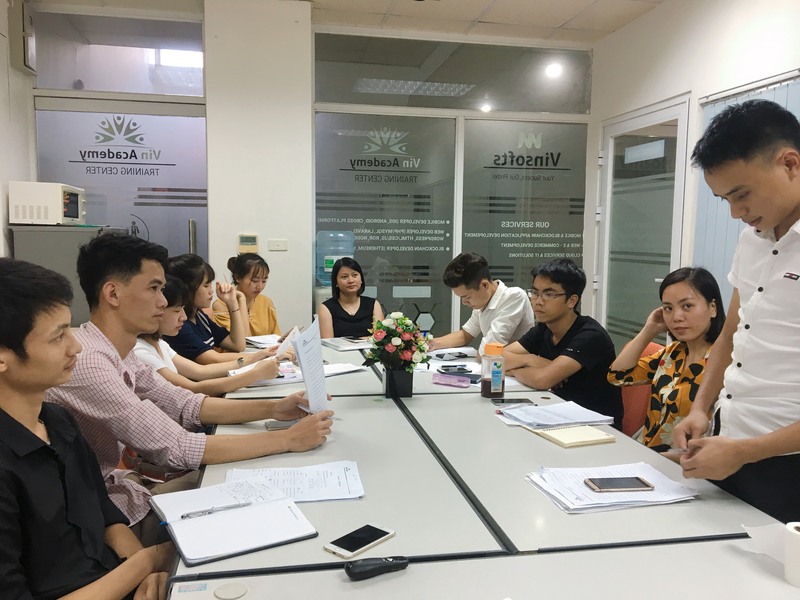 Understanding this importance, the Directors established English Club’s operation for all Vinsofts employees with the aim of improving their English proficiency for their jobs and their lives. This is an useful activities, helps people get motivated for practice and learning English actively and happily as well as enhance the spirit of solidarity among members of Vinsofts. We have English Class and English Club, which are held weekly. – Improve English reading and writing skills. – Enhance the ability of chatting with foreign customers to discuss work through chat software (Skype, Telegram, Trello, Asana, …). – Provide people background knowledge to get motivation in learning English. English Club has just been started and run along with English Class, with the goal of creating an environment to practice speaking English for everyone, connecting Vinsofts collective spirit. If you are an IT & English lover, come to Vinsofts!